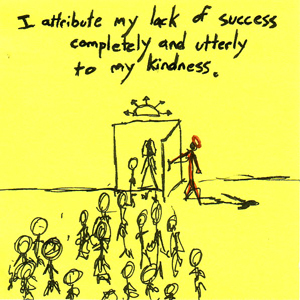 "I attribute my lack of success completely and utterly to my kindness." Purchase this amazing sticky note art on original t-shirts, office-unfriendly mugs, dark & disturbing pins and much, much more! .